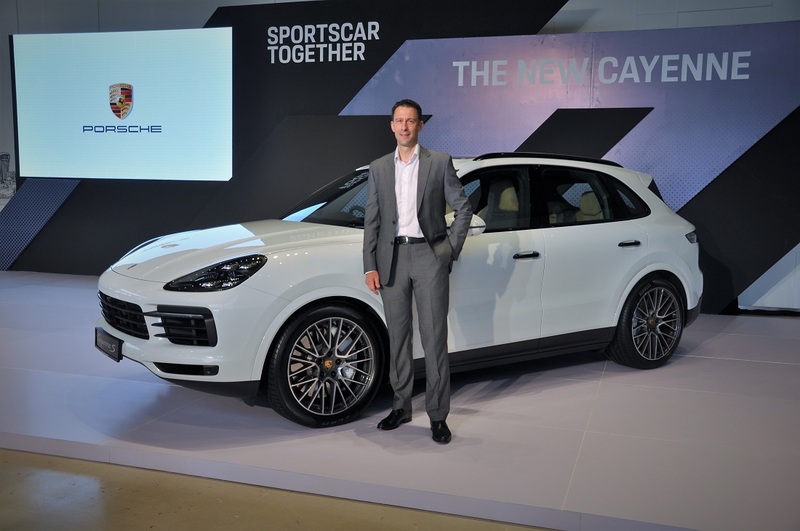 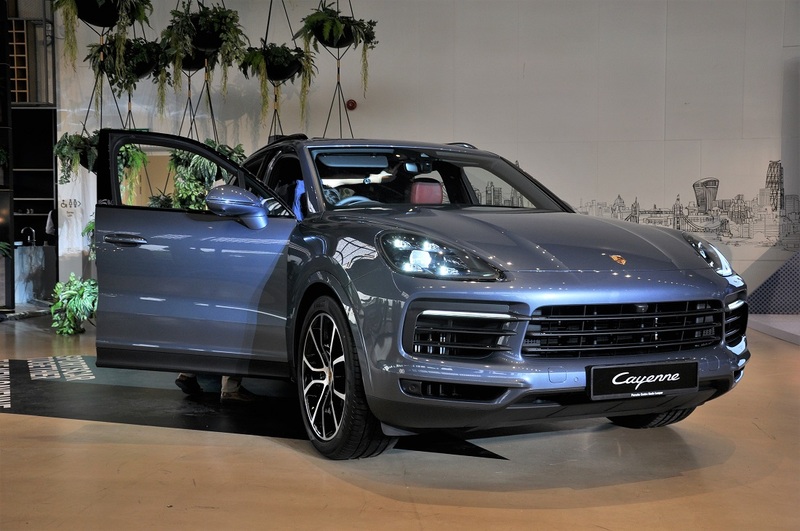 After giving a preview of it earlier in January, Sime Darby Auto Performance (SDAP) has officially launched the 2018 Porsche Cayenne in Malaysia. 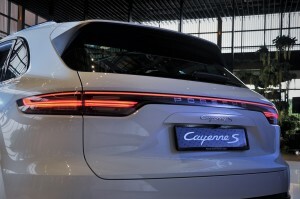 This third generation Cayenne will come in two variants i.e. the Cayenne (from RM745k) and Cayenne S (from RM890k). 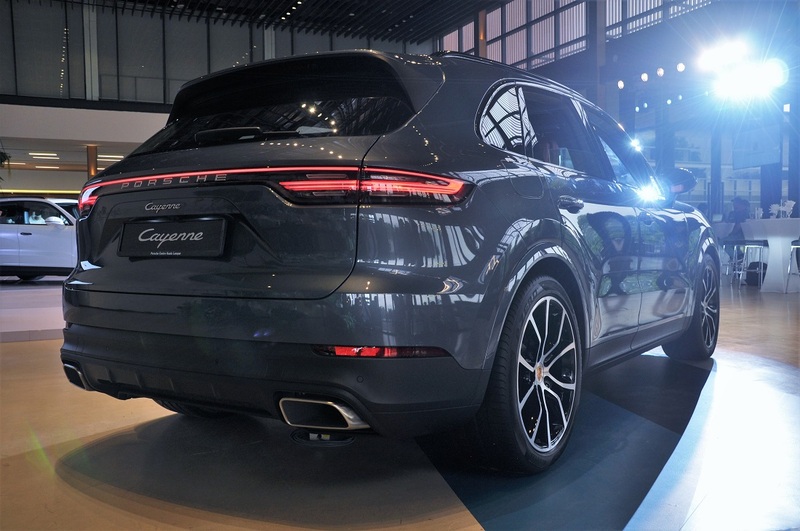 The Cayenne will sport a 3.0L V6 turbocharged engine with 340 hp and 450 Nm, while the Cayenne S will have a more powerful 2.9L V6 twin turbo with 440 hp and 550 Nm. 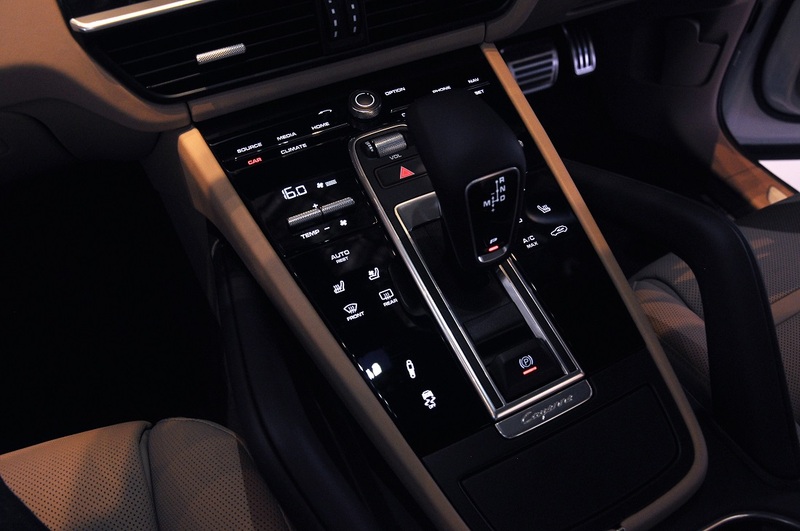 Both variants will use Porsche’s new 8-speed Tiptronic S gearbox. 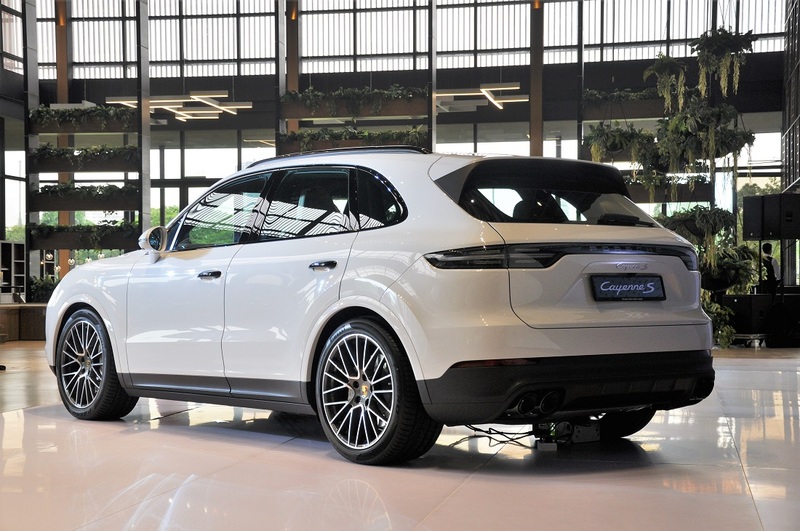 Performance-wise, the Cayenne does the 0 – 100 km/h sprint in 6.2 seconds (5.9 seconds if you opt for the Sport Chrono package), and the Cayenne S, in 5.2 seconds (4.9 seconds with Sport Chrono). 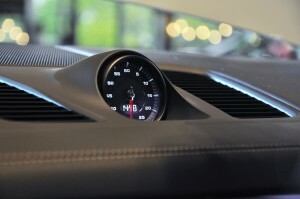 Top speeds are 245 km/h and 265 km/h respectively. 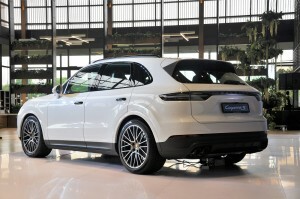 Available in the new Cayenne, like its 911 sibling, is mixed tyre sizes (from 19′ to 22′) and rear axle steering. 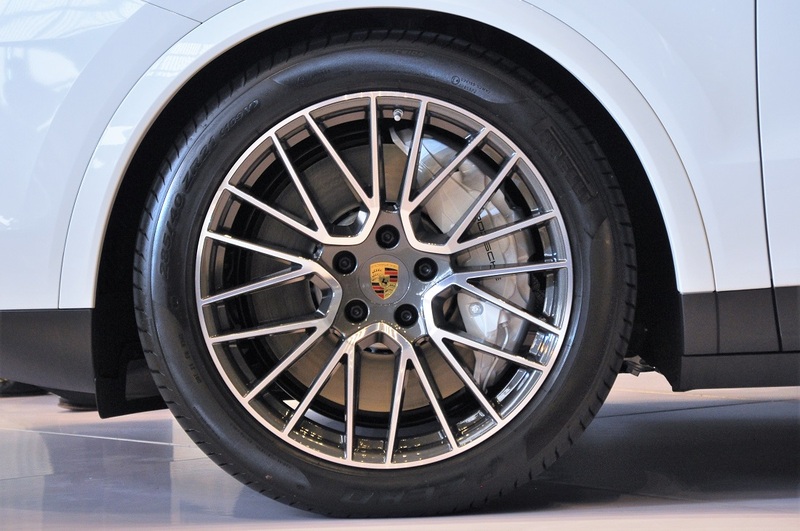 Assisting on-road performance are active all-wheel drive, air suspension which comes standard, Porsche 4D Chassis Control, and Porsche Dynamic Chassis Control (PDCC) electronic roll stabilisation system. 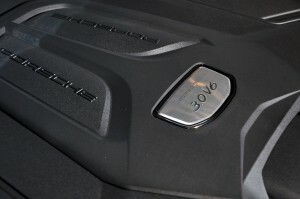 It has off-road capabilities too, should you ever choose to go there. 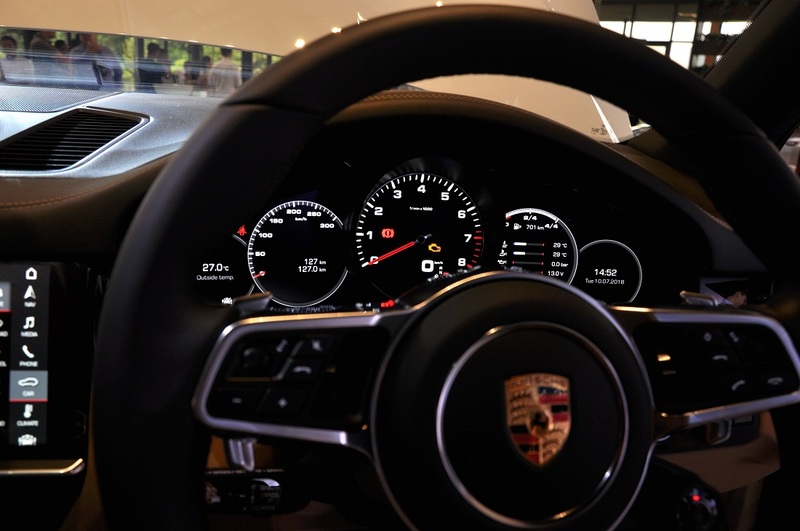 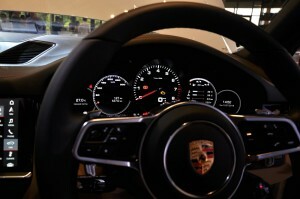 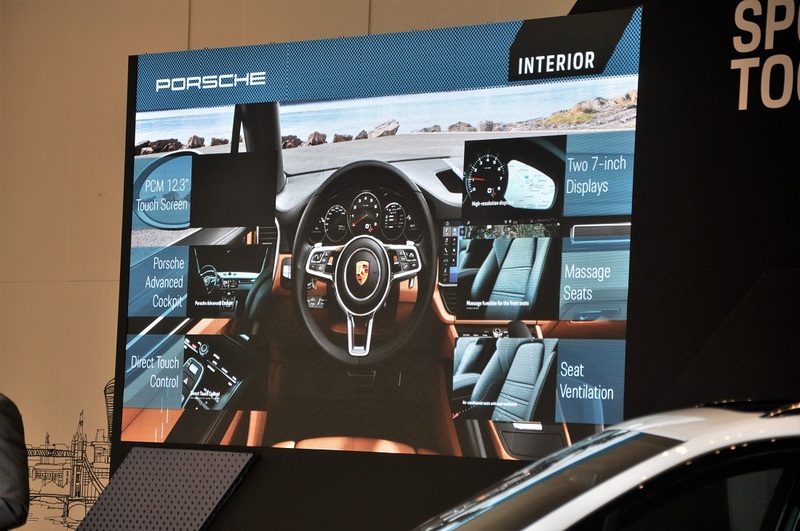 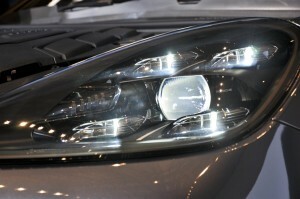 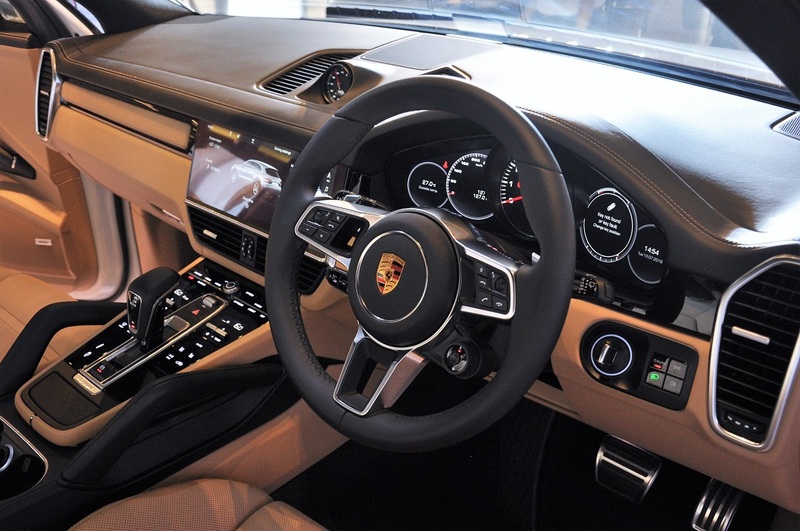 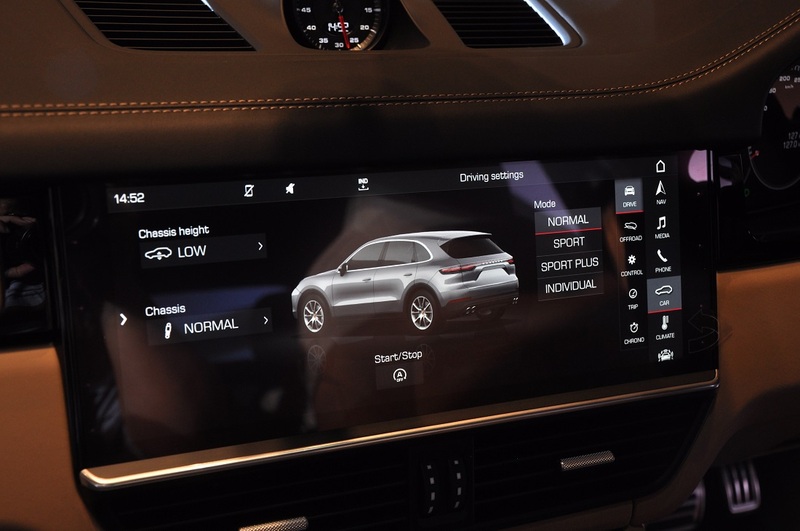 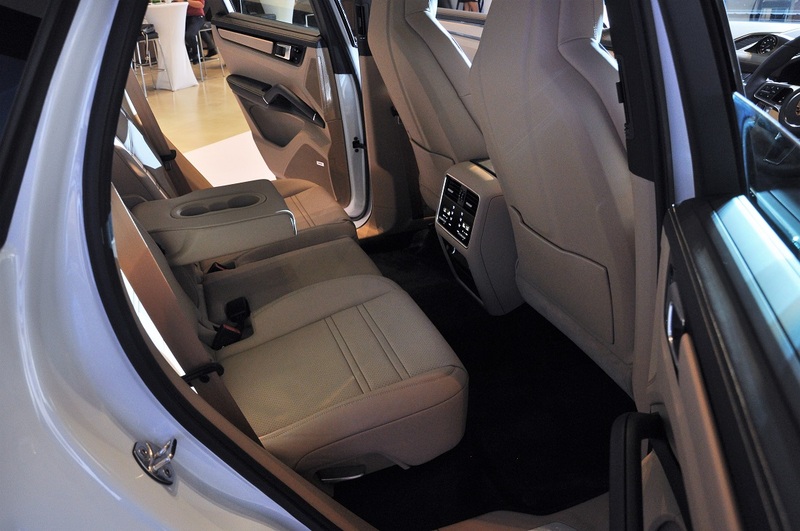 Standard features include LED headlights (upgradable with Porsche Dynamic Light System), Porsche Communication Management, Power Steering Plus, Porsche Advanced Cockpit which features a 12.3″ full HD touchscreen and two 7″ displays in the metre binnacle, and Park Assist. 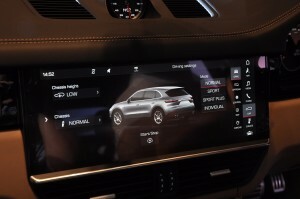 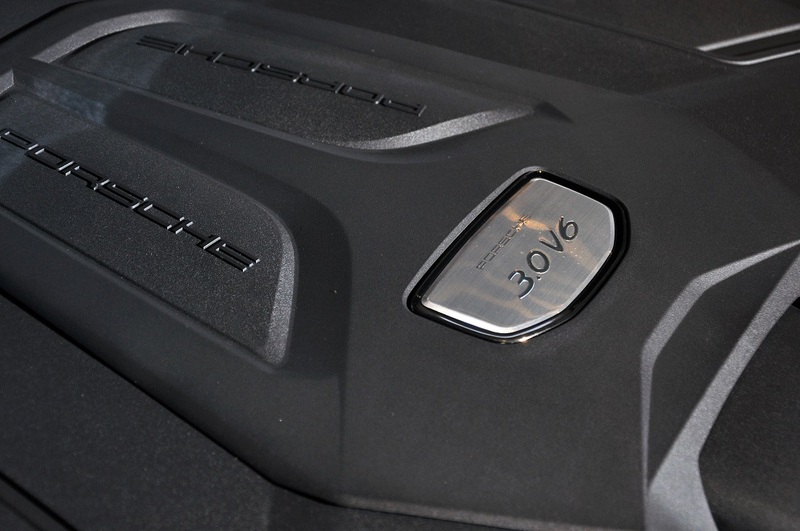 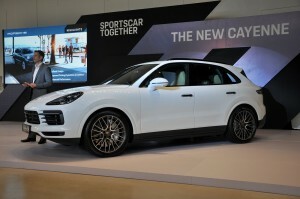 The Cayenne S will also include the PASM damper system. 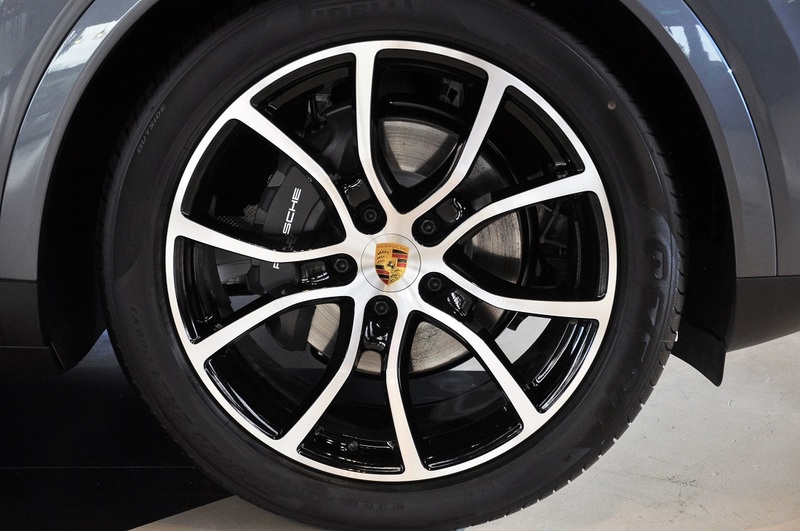 Other options include massage and ventilated seats, adaptive cruise control, and Porsche Surface Coated Brakes (PSCB) which have a tungsten carbide coating on the cast iron discs for better braking performance and reduced brake dust. The PSCB option comes with white coloured brake calipers. 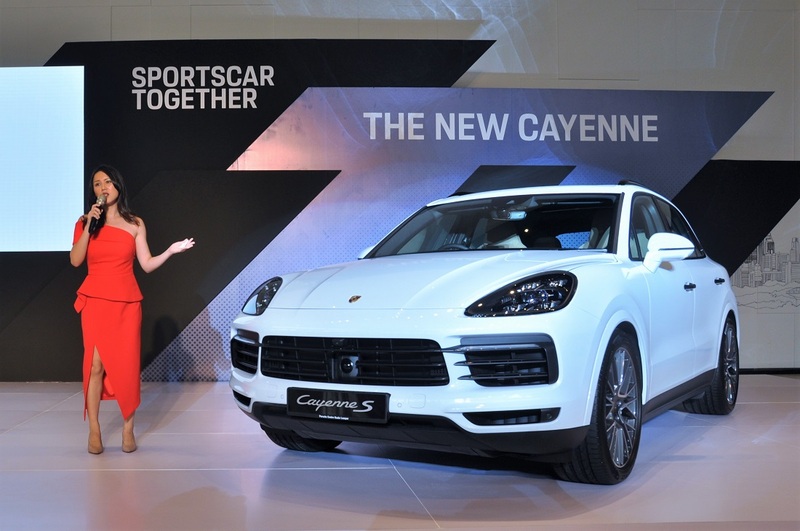 Physically, the new Cayenne is 63 mm longer than its predecessor (with the same wheelbase length of 2,895 mm), and 9 mm lower. 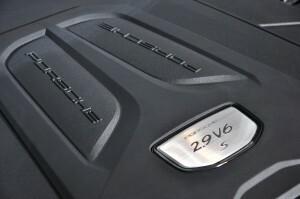 The luggage compartment is now 770 litres, an increase of 100 litres. 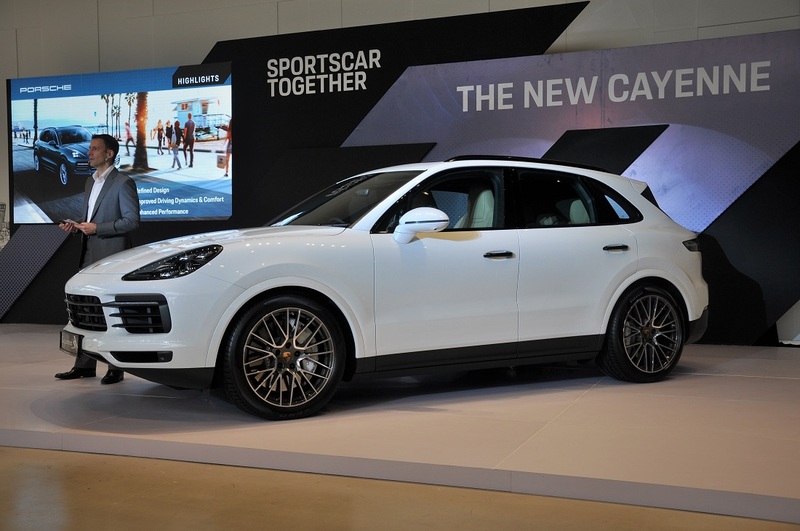 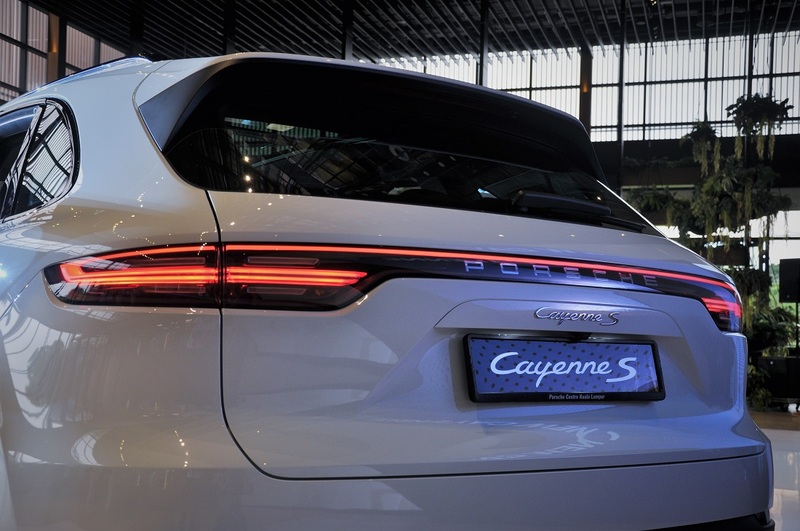 Further, due to a lightweight construction using a mix of steel, alloy and aluminium, the new Cayenne’s weight has been reduced by about 55 kg despite coming with added features.